Creighton was a prosecutor in Utah for over thirty years, working for the Salt Lake District Attorney’s Office and then the Utah Attorney General’s Office. During his career, he handled some of the most high-profile cases of the day, proposed and lobbied for legislation to improve the criminal justice system, and became actively involved in the innocence movement, working to help prevent and rectify wrongful convictions. A lifelong musician, he currently resides on the West Coast, where he plays music in restaurants and pubs, and writes. Creighton was born and raised in Southern California, went to law school at UCLA, and moved to Utah in the late 1970s. 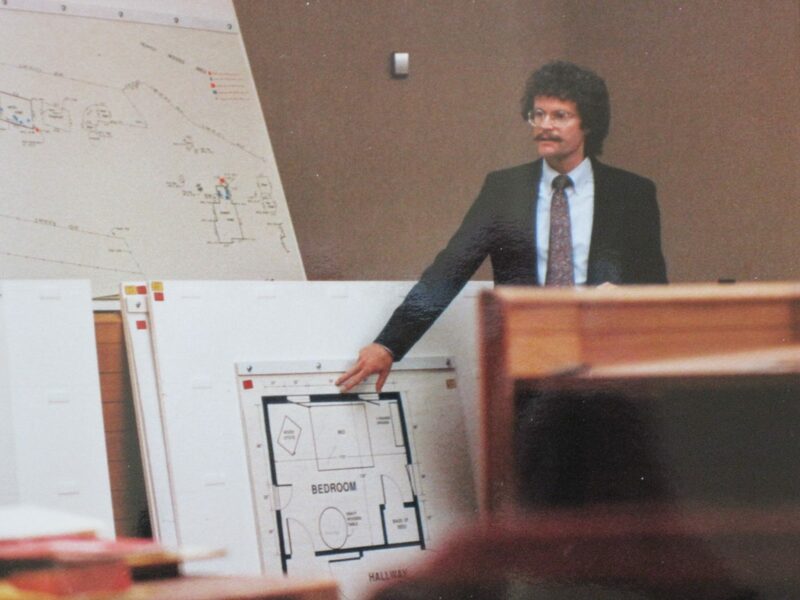 Although he started out with aspirations of being a defense attorney, he was hired by the Salt Lake District Attorney’s Office in 1978, and prosecuted cases there for nine years, ending as team leader of the Career Offender Unit, which prosecuted habitual criminals. He was recruited by the Utah Attorney General’s Office in 1987, and worked there until he retired in 2009. For seventeen years, he was chief of the Criminal Justice Division, and for two years served as chief of the Violent Crimes and Special Prosecutions Section. During his career, Creighton handled some of the most noteworthy cases of the day, including capital murder cases and cases involving religious extremists. He specialized in countering mental defenses in homicide cases, where defendants claimed insanity or diminished mental capacity. In addition to his trial work, he worked with the Utah State Legislature, promoting bills to improve the criminal justice system. Near the end of his career, Creighton became involved in the innocence movement, as DNA testing began exonerating more and more defendants across the country. He promoted legislative reforms in Utah to facilitate DNA testing for inmates who asserted their innocence, and to allow judges to issue orders of exoneration. Later, he worked collaboratively with innocence advocates to pass legislation to allow judges to exonerate defendants in non-DNA cases, where the evidence of innocence was clear. That bill also set up a system to partially compensate wrongfully convicted people for the years they spent in prison. In addition to innocence legislation, Creighton worked to put in place statewide policies to require police officers to record interviews with suspects, and he spearheaded police and prosecutor training to reduce the possibility of innocent people being caught up in the criminal justice system. In the course of his innocence work, he became friends with several exonerees from around the country — people who had been wrongfully convicted of murders, and later exonerated. Creighton has come full circle as an author. In college, he was an English Major with a creative writing emphasis. He enjoys the process of writing and telling stories. He has had a lifelong passion for playing music which was sparked by The Beatles’ British invasion of America when he was in high school. He currently resides on the West Coast, where he plays music in restaurants and pubs with his buddy Dave, and continues to write when the spirit moves him. Congratulations, my friend. I hope all is well with you and your family.